As entrepreneurs continue to build their businesses, some changes are important to make for growth to be sustainable. These changes including outsourcing and looking for expertise in areas where the entrepreneur lacks skill or time, and one of such areas is the accounting of the business. With Accountants Adelaide, business owners can focus their energy or more important parts of building a sustainable business. In this article, we will discuss why and where they need accountants. Businesses take several forms, and it can be confusing for business owners, an accountant would use his experience to provide the best legal structure their business can take, with tax duties in mind. As their businesses grow, entrepreneurs would have to let go of some responsibilities so that they can have enough time to focus on the bigger picture. 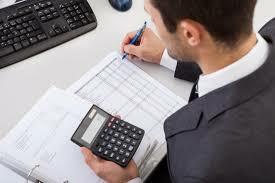 Accountants Adelaide would help take up accounting duties and take that out of their to-do lists. When a business is growing, their finances keeps getting complicated. Soon the entrepreneur would find out that they can no longer keep up with details about their creditors, debtors, and others. 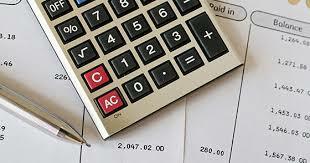 Accountants Adelaide would help to sort this dilemma out for the business owner. Every business owes state taxes and a record of how they spend their money. Giving this information requires a lot of regulatory paper works, the bigger their business grows, the more paper works they would be needed to file. This paper works can be time-consuming and very daunting for entrepreneurs. An accountant would help take this responsibility and save the business owner valuable time to use elsewhere. Typically, when businesses are experiencing an increase in revenue, their profits should also go up but is not always the case. Business owners who are experiencing such a difficult time need Accountants Adelaide to help them get the cause of such inconsistency. The accountants would use their expertise to figure out what they need to cut down on to make more profit. Entrepreneurs would need to give accurate and detailed reports to their investors from time to time. Compiling this report takes away valuable time from their day. Every entrepreneur would love to expand into a new state at some point in their company’s life cycle. With the help of an entrepreneur, they would be able to fully comply with local laws on tax reporting.